Tatasky, nation’s one of the main DTH operator. 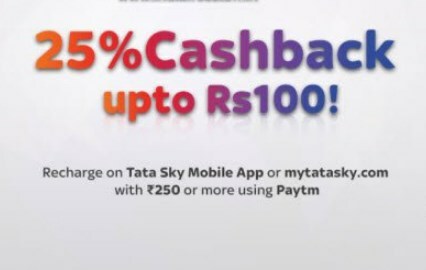 Now get 25% cashback upto Rs.100 on Tatasky minimum recharge of Rs.250 solely through Paytm. 6. Done !! Cashback can be credited immediately.